DO NOT RENT W/O TRAILER! REQUIRES A TILT TRAILER! $25 EXTRA. 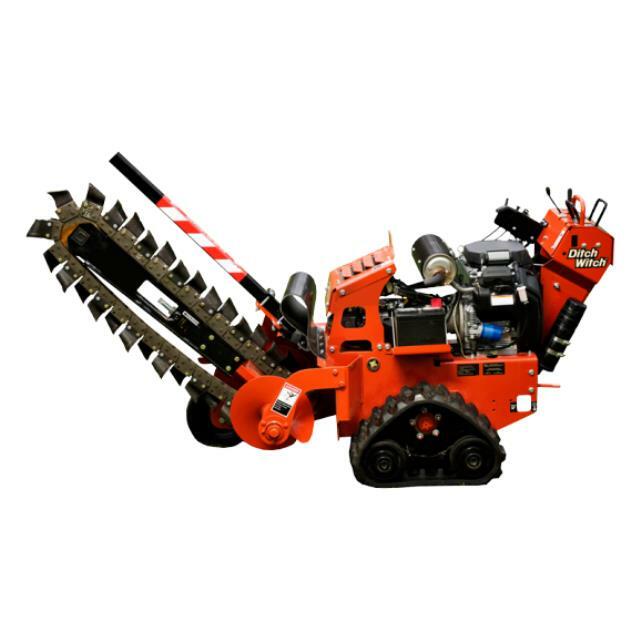 The Ditch Witch 1030 walk-along trencher is designed for residential and short-run commercial service line work including gas, water, sewer, electric and communications lines requiring trenches up to 6 inches (150 mm) wide and 30 inches (760 mm) deep. * Please call us with any questions about our trencher 4 inch x 24 inch ditch witch rentals in Cleveland, Parma, North Ridgeville, Strongsville, and Cuyahoga County.